Henry Dunay was born in 1935 in Jersey City, New Jersey, USA. 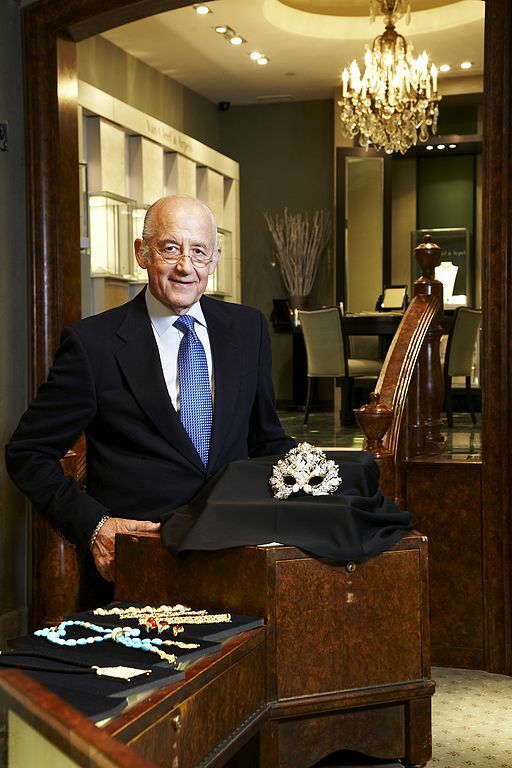 He is one of the world’s most accomplished master jewelry designers, having won more than 50 international awards for his creative works of wearable artistic heirlooms. An artist who envisions his designs, sketches his work and hand-creates all he produces, Dunay has created jewelry for political figures, celebrities and royalty. Born in New Jersey, Henry Dunay quickly became enveloped in the world of jewelry making. At the young age of 14, he was an errand boy for a New York City jeweler, and quickly became an apprentice. Dunay fast found his own talent and passion. Within a few years, he broke out on his own. By the age of 21, the nearly self-taught, truly driven Dunay had started his own company and was designing his own jewelry. He built a team of the world's finest artisans and stone cutters to fulfill his needs in implementing his designs. Henry Dunay is the winner of 50 International Awards for Designing (from around the world), including two times chosen as "The Best of The Best Designer in the World" by The Robb Report Magazine. A perfectionist, Dunay uses vivid gemstones, unique carvings and some surprising, original metal finishes in his array of alluring jewelry. He adheres to his long-standing design philosophy of upholding the higher standards, and making only unique jewelry that will stand the “passing of all times.” He continually aspires to create the ever-elusive single piece of jewelry that will fulfill his deep thinking and spiritual limitlessness – making him the ever-questing, awe-inspiring jeweler. Copyright © 2011 HDD INC - All Rights Reserved.